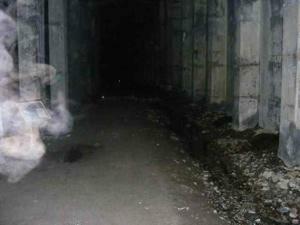 Think of the best paranormal photo you've ever seen. It was probably something that caused you to stop and really think. The internet is full of paranormal photographs ranging from pictures of what may be ghosts to images of dead animals believed to be the cryptid known as El Chupacabra. These tips can help you take better paranormal photos and understand how to evaluate what you see from others. If you visit a lot of haunted places and want to try your hand at capturing a paranormal photo, then consider the following tips. Visit a location where paranormal activity has been reported. Try to go at a time when there aren't very many people present. If it's on private property get permission and don't trespass. How you take the image is important when you're trying to photograph the paranormal. Eliminate conditions that can cause false positives, such as camera movement as you take the picture, flash artifacts, and more. Use a tripod to minimize movement while the picture is being taken. If it is cold or you are outdoors, take a deep breath and hold it just before taking the photograph to minimize the possibility of mist from your breath. Only use a flash if it is absolutely necessary. If you do use a flash, make note of any reflective surfaces that might cause anomalies in the photograph. Make sure there is nothing blocking your lens like your finger or camera strap before taking the picture. Use a lens cloth or brush to clean the camera lens prior to snapping your photograph. If you are using a digital camera, use the highest resolution camera you can afford. If your camera has a night shot feature and it is approaching dark, use it. Always try to snap a succession of pictures. In that way, you can show a before and after if something appears in one of your photos. If you have long hair, tie it back so a stray hair won't have you thinking you saw a ghost. Never point your camera at a light source. 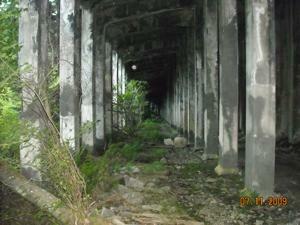 This leads to lens flare that can show up as a ghost on camera. Don't take pictures if it is foggy, windy, rainy, or excessively dusty. All of these conditions can cause anomalous photographs. If your photo is snapped outdoors, note the atmospheric conditions. Is it raining? Are there bugs flying around? Use your notes to rule out possible causes of any images you capture. Are there other, more logical explanations for what you are seeing in the photo? What are they? Is it a picture of an orb? Many orb pictures can be attributed to dust, bugs, atmospheric conditions or effects from use of a flash. Could what you are seeing in the photograph be some other type of artifact? For instance, if it is cold and the photographer breathes while taking the picture, a mist will form. Camera straps can look like ghostly figures, and bugs flying past a flash can look like rods. There is something called matrixing that all human beings do. Humans have a tendency to look at random information and turn it into something recognizable such as a face or a human form. This is why so many paranormal photos may appear to have something in them that is really just a random shape. There's always a question when someone else shares a photo that might be paranormal, because you have to rely on the presenter being truthful in what they share and vetting their own photos carefully. Even if the photo comes from someone you trust, you can't ever know for sure. However, the following tips can help you decide whether they've actually captured something paranormal on camera. Read the story behind the photograph. Does it raise questions in your mind? Could it be an urban legend? Does the photo look faked or does it seem authentic? Is it possible it has been altered using a photo editing program such as Adobe Photoshop? Did the photographer share the conditions under which the photo was taken, such as temperature, wind, etc.? Ask the same questions you ask about your own photos. 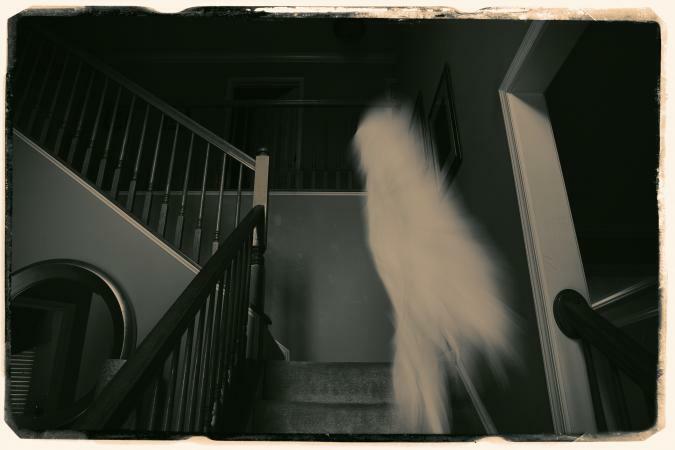 LoveToKnow has a gallery of paranormal photographs gathered from paranormal investigators. You can also find them on the websites of paranormal investigation teams and other ghost enthusiasts, such as Ghost Research. Whether it's a photo you've snapped or one you come across on the internet, it's important to cast a critical eye at images with anomalies that may be paranormal. Open-minded questioning is the best approach to reviewing paranormal photos.